Twin Lens | Kitty and Craig Fritz | Destination Wedding Photography based in Santa Fe, New Mexico. Top 10 Wedding Photoraphers "American Photo Magazine"
Twin Lens specializes in the artful documentation of life's events. In addition to editorial work, we concentrate on destination wedding photography and are based in New Mexico. We are well located for Albuquerque wedding photography and Santa Fe wedding photography. We, Kitty Clark Fritz and Craig Fritz, founded the company in the early 2000's. Photography is nothing short of a labor of love for us. It brought us together when we were starting photojournalism careers, and now that we are married, continues to be a spirited collaboration consuming most of our free time and our disposable income. We photograph together, searching for real emotion, stunning light, unexpected moments and quiet beauty. Our goal is to to create a stunning narrative of your wedding day. In addition to a dizzying array of digital technology, we shoot with vintage, medium format twin lens reflex and Holga film cameras. These old school cameras produce all the square images you see on our site. We are obsessed with their nostalgic look. 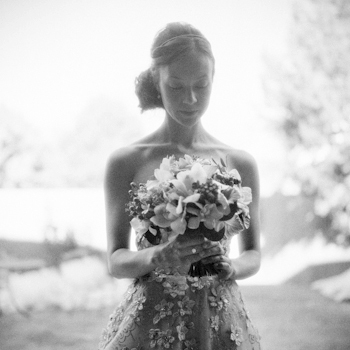 The marriage of the film and digital images in the final wedding edit is so powerful. We have been honored as one of the "Top 10 Wedding Photographers" by American Photo Magazine in 2012 and are among the "Rising Stars of Wedding Photography", named by Photo District News in 2011. Kitty worked six years as a staff photojournalist for The Albuquerque Journal and is currently a freelance editorial photographer. Her work has appeared in publications such as the Seattle Times, the New York Times, Time Magazine, the Dallas Morning News and USA Today. She has been honored by Pictures of the Year International, the National Press Photographers Association, the Associated Press Managing Editors, the Santa Fe Center for Photography, and as a two-time finalist for the Willard VanDyke Memorial Grant in Photography. Craig began his career as a photojournalist at the Santa Fe New Mexican and was most recently a staff photographer at The Albuquerque Tribune, a newspaper consistently recognized as a leading photographic publication. He was a finalist in the William Randolph Hearst Foundation Journalism Awards and the Alexia Foundation for World Peace. He has been honored by the Pictures of the Year International, was a 2004 National Press Photographers Assoc. regional photographer of the year, and was the 2005 recipient of the Willard Van Dyke Memorial Grant in Photography. We are available for wedding photography worldwide and regularly photograph weddings beyond New Mexico in Colorado, Arizona, California and Mexico. Hope you have fun looking through our website and Facebook page. Here are people and places we have most enjoyed working with.